Who Should Be Running Your Ads? YES, I own an ads agency (and I believe we’re the best at what we do! ), but it’s not one-size-fits all. If you’re thinking about hiring help with ads, this episode will help you decide which option will work best for YOU! [13:20] Comparing costs? Start here. In this episode, I’m going to be answering a question I get asked a lot, which is … How do I know when I’m ready to hire somebody to help me with my ads? And also, which route do I go when I am ready to hire somebody with my ads? And I promise I’m going to go at this … Obviously, I own a marketing agency, but I promise I’m going to go at this as non-biased as I can. And also, I want to explain to you guys my journey a little bit, because I was just a solo ads manager and then grew an agency, and what I’m going to compare today is (1) when are you ready to hire somebody, and (2) is it better to have an ads manager (one single person), an agency, or build your own in house team? And I think it’s important to note here, and I want you guys to know like, I was an ads manager, and I did my client’s ads where I was doing everything. I was doing the ad copy, the images (sometimes), loading the ads and taking care of the day-to-day stuff, and then also, the big picture strategy. And over time … and I’ll talk about this more … but I essentially realized that I couldn’t do that, and it wasn’t actually serving my clients, because I’m not a copywriter, or a designer, or … shouldn’t even be doing the tactical implementation. I’m the big picture strategy. So I moved into the agency model, not just because I wanted to grow my business, but because over time how I have grown my agency has been really centered around, “How can we serve our clients better?” because I know what needs to happen for a marketing team to be successful. And so ultimately, that’s how I built my agency. And then I’ll also compare in house, because I have experience with … (1) I have entrepreneur friends who have done that successfully, and they have built an in house marketing team, and then (2) I have also had people who had in house, and then came over and worked with us, and have shared their experience of the differences between the two. Before I dive into these three, I want to share my opinion on, “When am I ready to get started with,” … not just get started with ads, “when am I ready to hire help with my ads?” And so here’s what I think. I think that the extent of what you should do DIY in your ads, it should be not very much, but that’s because diving into the ads manager and learning how to run ads is extremely complicated. And if you value your time as an entrepreneur, you won’t put yourself in that situation where you’re doing such a complicated task basically. So the extent of what you should do to DIY is promoting content posts, videos … That’s all fine, you can’t really mess it up that much, especially if you put in the right targeting. So promoting that, getting visibility and starting to build your audience is fine to do DIY. But unless you want to learn ads and go through courses and see the backend of ads manager and learn it, then I think that … There is one other key factor, and then it’s time to say, “I need to get some help with my ads.” And the other key factor is that you’ve proven that either (1) your product or service sells, and it’s needed, and you know your client, your ideal customer, and you understand them, and you have that understanding of their problems, and you know what you have is good; and then (2) if you have a funnel that you’ve gotten some organic conversions. So some of our best clients have come to us after saying, “Hey, I have this funnel, this webinar funnel, I know it’s not perfect. 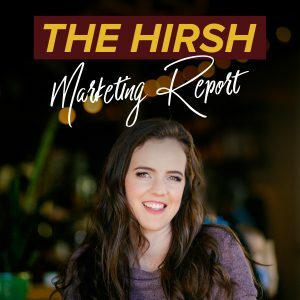 I’ve gotten five sales in it so far, and I’m ready to now scale it with ads, with paid ads, and I know that I don’t want to learn ads myself.” Because here’s the problem with DIYing it for a really long time: In the beginning, if it’s giving you more visibility and traction in your business, and it’s saving you money to do that, it’s fine. But if you’re trying to manage scaling a webinar or getting webinar registrations and then the re-targeted ads, all those pieces, it’s really complicated. And you’re spending money to do this, and probably losing money by doing it yourself, because you don’t know how to do it unless you’re an ads manager. So that’s my opinion. And obviously, everybody’s financials are different, but even if you bring in an expert and you break even for the first month because you did that, or even the first two months, between ad spend and management fee and your funnel, you’re better off, because you’re paying for the data and you won’t waste all the (a) time, but also (b) money, testing it on your own and then it not working. So that’s my opinion on, “When are you ready to hire out ads and how much should you DIY?” And it’s also why I don’t really push heavy my course, because I don’t think everybody should go back and learn ads manager. Promoting your videos, your Facebook Lives, your social media content, to just grow your following … you can’t mess that up that much, so that’s not as bad. But trying to run an entire funnel or scale a webinar or manage a launch on your own, and your ads, is a full-time job. And it’s really hard to do that and run your business and deliver on your products. So now I’ll compare the difference between in house, agency, and [a solo] ads manager. So I believe basically that there is three parts that you need to have success with your ads. And that is (1) day-to-day strategy and implementation and optimization of your ads. So, turning off ad sets that are not working or are working, adding new audiences, scaling things, the day-to-day optimization and strategy … And somebody should be in the account every single day, if not multiple times a day, depending on how much is going on. Then (2) you also need high-level strategy. You need big picture … Is my funnel working? What’s happening when people go through my funnel? What’s my big picture marketing plan based on my goals? So you need that high-level, not just narrow ads manager picture, but big picture funnel strategy. And then (3) you need a creative team, and you need somebody who can create ads that stand out, that are compelling, that hit your messaging and your pain points … and can create both the copy and the images, and that takes special … A copywriter should be doing the copy and a designer should be doing the images, because that’s what they’re good at. So you need those three things for success. So let’s start with an ads manager. That’s the main problem with just hiring a solo ads manager. And it’s also 100% why I had to grow my business into an agency, because when I made the realization that I shouldn’t be writing my client’s ad copy or images, or even doing the day-to-day management, and I should be in the big picture strategy, because that’s what I was actually good at … and that I was doing a disservice by writing their copy, because I was not a copywriter … I made the change, and that’s what you won’t get from a solo ads manager. So sometimes you would have to provide that. You’d have to provide the big picture strategy and the creative team, and you could have an ads manager just come in and do the day-to-day optimization. But don’t have them and expect them to cover all those bases, because that’s not what they can do. And also, there’s a cap to how much one person can do, and your ad account, like I said … I mean, some ad accounts, if you combine all those factors, this is a full-time job just doing that. So if they’re growing their business, what happens a lot with this is, the ads manager gets overwhelmed and the accounts start losing how much they’re getting watched. And that’s when bad things happen. So that’s kind of the one downside with an ads manager is, it’s one person who probably doesn’t have all three of those skill sets, and you’ll either have to provide those skill sets from your team elsewhere, or you’ll have to do it. And that’s hard, because then the ads manager’s success depends on you providing those things. Then we’ll talk about in house. So in house is … I have friends who have had good success with this. I know a huge company and a lot of big companies who have an in house marketing agency … not an agency, but an in house marketing department … and it can totally work. 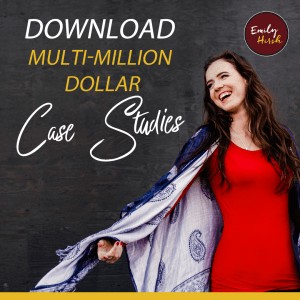 Here’s the thing with in house … and I’ll share next what our client – who did in house forever and thought he was saving money and ultimately wasn’t – is … you have to have all three of those things. So you have to have somebody there who’s chief marketing officer, or whoever’s going to do high-level strategy. Then you have to have the day-to-day implementation people. And then you need a creative team. And so, you would have to have all those pieces, and that’s fine, that’s not necessarily really hard to find. You could do it. But it’s the training, and then making sure that people stay on top of the strategy, and understand ads, providing training material for the ads manager, because it’s their job, not their business. They’re not going to go out and do it anyways if you have an in house team. So it’s possible, but you sure have to invest a lot in their salaries. Between salaries and vacation pay, employees are expensive. And the training, and then also staying on top of them and basically managing them. Unless you’re a huge company, it would be pretty hard and probably cost you more money, which is where, moving into the agency piece … We had a client that was basically doing that. He was trying to have an in house person, and he was paying them almost a six-figure salary, which might be expensive, I don’t know. I think that if you’re … He was trying to find someone who could do it all, too, like the day-to-day implementation of the ads, help him with the strategy, and then the creative piece. And he’s like, “They just didn’t have those skill sets, so it wasn’t working.” And so between the salary and the paid time off and the employee taxes, he was spending close to $100,00 a year and having to manage it and be stressed out about managing it. So when you come into an agency, ideally if you work with an agency, they should (1) provide all those things, because … I get frustrated with agencies who don’t have the creative department, because so much depends on the creative department in the ads being successful. If they’re waiting on you as a client for the creative, it will mess up the progress. Like no question, it will. So you need an agency that has all three of these pieces. And as long as they have systems so that they can implement all three of those pieces well, then it’s oftentimes the best decision, because you’re not having to manage and grow the team and provide the training. They’re doing that, right? I do that for my team. I train them, I do all that legwork of training them, making sure we stay on top of the strategies … That’s our job for our clients. But also, they have to be able to give you the individual attention. So I think some people with agencies, why they get frustrated is, they get lost in the mix. And so, it’s all how the agency structures their agency and if they’re able to do that. Because, it should still be a very personable relationship [with] who’s doing your ads. You shouldn’t feel like you’re lost in the mix of hundreds of other clients. And that’s the problem. And that’s what I’m personally on a mission … I say like, my mission is honestly like, I want to be an extension of somebody’s team. I want to feel like a part of their team. I want my ads managers to feel like a part of their team, but they don’t have the responsibility of managing them. And so those are just things to think about. Obviously, like … In house is pretty expensive, so I would argue it’s the most expensive thing to do … And then agency being the next, and then ads manager obviously being the cheapest. But, if you’re having to provide other assets, and design, and copy, and strategy, is it really cheaper? … It depends how you value your time, and that’s ultimately part of what this comes down to. Between DIY and what do you choose is … How much do you want to be involved? And how much time do you want to waste on testing and things that you don’t know if they’re going to work or not? Because … this is not your zone of genius. So I have been behind-the-scenes of a lot of very, very successful companies. I’ve grown my company very fast. And one of the biggest contributing factors to people who can grow really fast is, how quickly can they offload what they’re holding onto? And so, just make sure that, bottom line, you don’t hold onto doing your own ads for too long to where it’s actually costing you money and hurting your results. So with all that, I can’t not mention my team! So if you guys do want an agency … And I have been obsessed with making sure we provide those three parts, because I feel like that’s the missing formula. I unfortunately know a lot of very big agencies who are pretty crappy. And I’ve had big, big influencers come to me after working with one of those agencies and say they got lost in the mix, new strategies stopped being tried, the response time was slow … I know how big of a problem that is, and that’s why I’m on a mission to change that and obsess over the formula I believe for a successful marketing team. So if you go to HelpMyStrategy.com, you can book in a call with the Hirsh team, if you meet this criteria, and you feel like, “Okay, now is the time for me to outsource my ads, and I would like to go the agency route, and choose that route, because it’s right for me.” So thanks so much for tuning in guys.